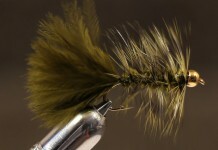 Big Brown on light tippet means you are sloshing down the stream to keep it. 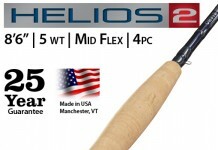 I have noticed that people always comment that they “fought” a Brown Trout instead of “caught” one. I find this to be true on the many experiences I have had. 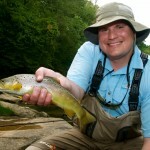 Ultimately I love fishing for Rainbows but the larger brown’s will take you for a ride… one that you won’t ever forget. We put together some interesting information for you to digest to get to know your adversary better. The brown trout (Salmo trutta) is a species of fish that originated in European waters. 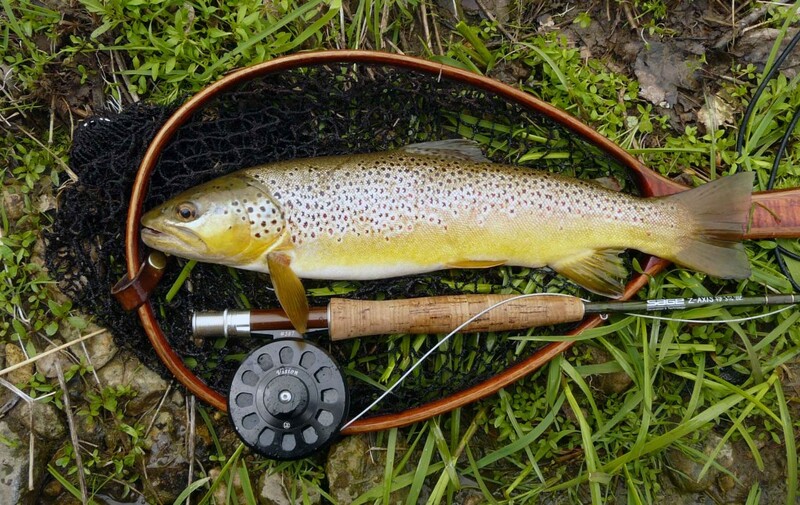 As with many other types of trout, the brown trout can live in both fresh and saltwater, with saltwater trout spending much of their time in the ocean but returning to fresh water each year for spawning. 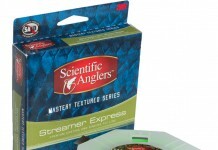 Although the species originated in Europe, these fish have now been introduced to waterways across the world, predominantly for the pleasure of those who enjoy fishing, as these fish are sought after for the sport they provide to anglers. A large brown trout can grow to around 16 to 40 inches in length, and weigh up to 40 pounds roughly. (There are larger ones out there but trying to give an average.) However, for fish residing in creeks and smaller streams, a weight of around 2 pounds is more common, and a length of around 11-25 inches. These fish can live for around twenty years, though a majority of male brown trout do die after spawning, which is something that is perhaps left undiscussed. 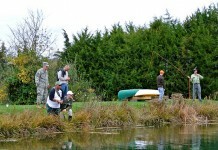 The popularity of brown trout as a sport fish has increased rapidly over the last several decades. 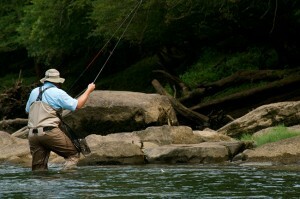 Although there are numerous methods of fishing for these trout, the most popular method is fly fishing. 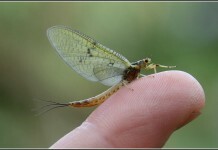 Trout can be caught by using handmade, imitation insects created from a variety of materials including cottons, wools and feathers that are made onto a hook and cast into the lake or stream. 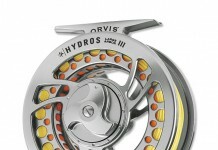 Many anglers find a primitive pleasure in trying to deceive a trout into eating an artificial “fly”, and will travel great distances to have the opportunity to cast a fly to one of these trout. 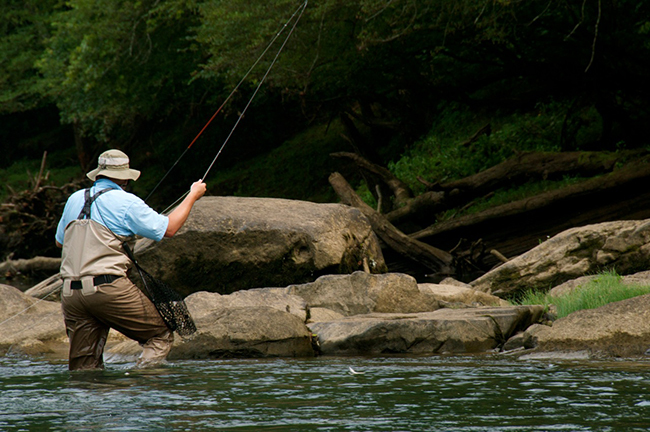 Fly fishing for trout is popular in rivers, lakes, streams, and even in salt water, right across the world. 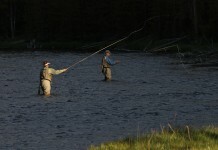 There are even fly fishing world championships, where teams from different countries compete against each other in an attempt to catch the most and the largest fish. Not only are brown trout popular as fishing targets, but they are also sought after due to the fact that they are succulent and delicious. Many people would argue that a freshly caught and cooked wild trout simply cannot be beaten in taste, and of course it tastes all the sweeter if it’s a trout that you’ve managed to catch yourself. As fishing is not everybody’s cup of tea, trout are of course farmed for eating, and in many places around the world aquaculture makes up an important part of the economy and ensure the employment of many people. 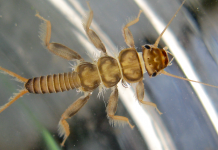 Although trout farming is often economically beneficial, the introduction of these fish into waters (for both aquaculture and sport fishing reasons) where they are not normally found can see, and has seen, serious environmental consequences in a number of countries, particularly Australia. The introduction of these trout has seen a decline in native fish species, and also had an impact on freshwater plant life. 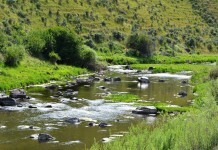 Large numbers of introduced trout have the ability to influence whole ecosystems, even when their population levels are controlled by environmental services. 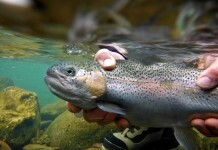 Often, trout are bred in captivity and young fingerlings are introduced into waterways. These fish are genetically manipulated to ensure that they are unable to breed in the wild, a process that is used to control the population levels of these fish. However, even though these fish may be unable to breed, their presence can still have an alarmingly large effect on the diversity of life within a waterway. 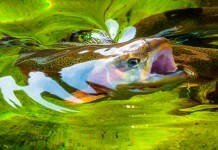 Introduced trout compete with native species for food, space, and other resources, and may be aggressive enough to alter the spawning and breeding habits of native species. For these reasons, it is vital that the introduction of these fish is strictly controlled and appropriately regulated. Despite the fact that these fish have been introduced into waterways right across the world, it is actually rare to find independent, self-sustaining populations of brown trout. 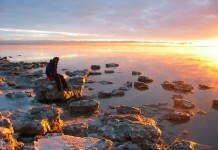 Native populations are actually on the decline due predominantly to a number of environmental factors, including habitat degradation, contamination of water supplies, increased water temperature and many additional reasons. 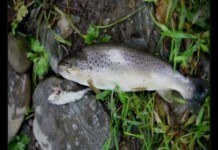 A phenomenon known as “summer kills” describes a horror movie like scenario where hundreds of brown trout are found dead in waterways, and occurs frequently each season. 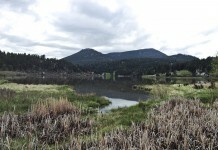 This is caused by an increased water temperature in summer, which decreases the amount of dissolved oxygen in the water and essentially causes the fish to have an insufficient supply of oxygen. 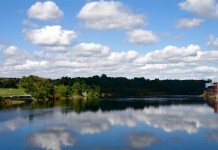 Fish in waterways surrounded by agricultural land can also be subjected to poisoning from pesticides or fertilizers. As you can see, balancing the damage brown trout can cause to an ecosystem versus their vulnerability due to environmental factors is a difficult situation, and we can only hope that these great fish are well preserved and remain in our waterways for years to come.